A cantilever gate could be the perfect solution for your property. There is no need to install a track for the gate to run along, they can span widths of up to 10m and they take up less lateral room than swing gates. They’re even perfect for properties that face issues such as uneven ground and steep inclines. We fabricate our cantilever gates in-house at our steel fabrication plant. This allows us to impose strict quality controls on our gates and we guarantee that our cantilever gates will have a long-lifetime. Cantilever gates are also much quieter than other gate systems, largely because they glide over the ground rather than running across tracks. This makes them perfect for built-up areas and properties where noise is a factor. Why Choose Everlast Services For Your Cantilever Gates Needs? We fabricate our own gates at our Hoppers Crossing factory. This allows us to keep costs down and pass on a quality product to you at a very reasonable price. It allows us to control the quality and it also allows us to provide more jobs to the local community and support the local economy. 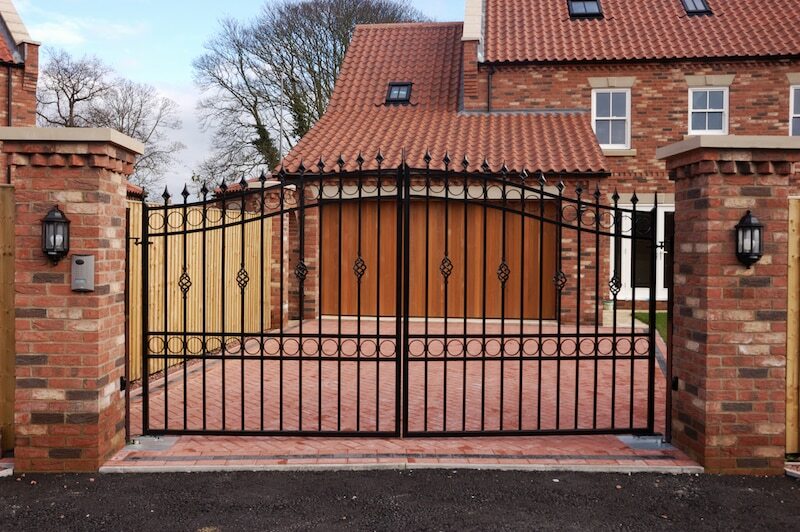 We have been designing, fabricating and installing gates for over 20 years. We know how to design a gate that fits your property and we also know how to design and fabricate a gate that will last. We stand by the quality of our cantilever gates and after seeing us in action you’ll see why we’re so confident. We’re passionate about what we do and we’re passionate about trying to ensure that everyone has access to our services. That’s why we’ve worked hard to develop relationships with suppliers that allow us to purchase materials cheaper and pass savings on to you. Don’t feel as though a gate is out of your reach, you’ll be amazed by the prices we offer. If a gate is just part of your backyard and home improvement project you’ve come to the right place. We also offer fencing, decking, concreting, and landscaping There’s basically nothing we can’t do and we do it all with the famous Everlast commitment to quality, customer-care and affordable prices.